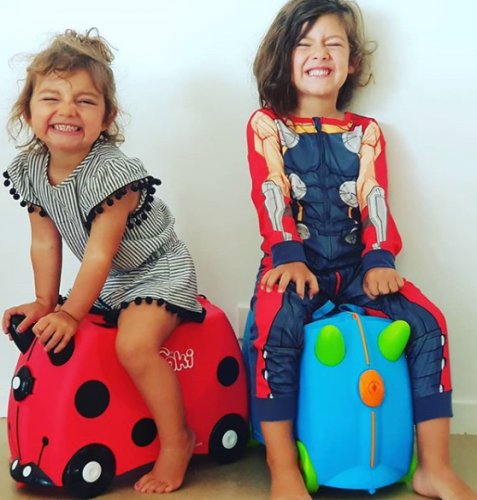 Family vacations and sleepovers just got even more fun with Trunki, “Luggage For Little People”! The award-winning British design takes the stress out of traveling with kids and encourages responsibility and imaginative play at home. 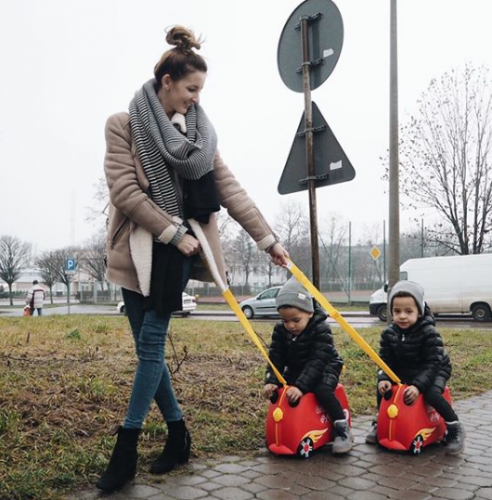 You’ll smile across the miles with Trunki as your child’s handy ride-on travel companion! 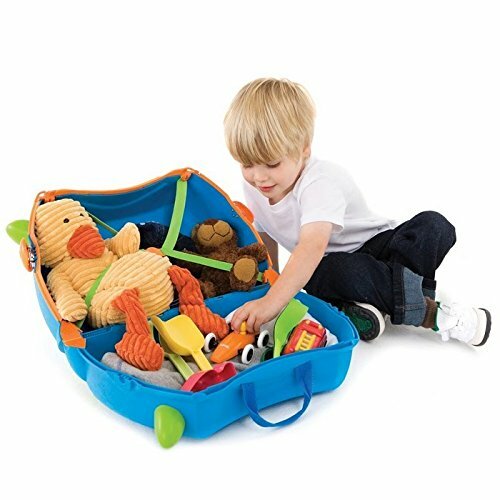 Pack up for a visit or a vacation with this sturdy child-size suitcase designed for convenience and fun, it fits within standard 20 x 18 x 10 inches dimension requirements of scheduled, charter and low cost airlines. With it’s spacious 14.75 gallon capacity, Trunki has plenty of room to pack it full of your child’s toys, games, books and spare clothes needed on vacation. 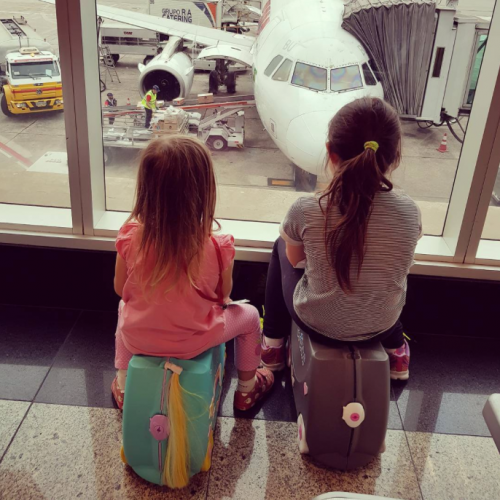 Each and every Trunki is packed full of clever features, making it extra fun for little travelers as well as a practical solution for parents. Fun features include: Carry handles, Horn grips to steer your Trunki, Comfy saddle, Soft rubber trim to protect little fingers, Lightweight durable plastic, Internal pocket for special treasures, Teddy bear seatbelts (to keep teddy safe), and Tow/shoulder strap with ID key.